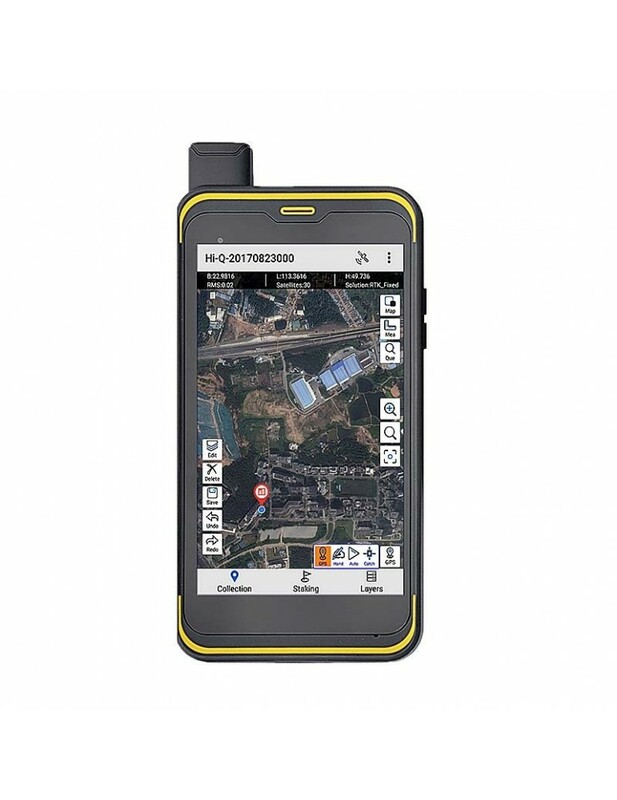 The Hi-Target QminiA5 handheld is aimed at professionals in the GIS industry who want full-functionality and compactness in the style of an easy-to-hold and operate android-phone. A5 features a spiral antenna and Hi-Target GNSS RTK algorithm to provide high-precision operation. The Hi-Target QminiA5 handheld is aimed at professionals in the GIS industry who want full-functionality and compactness in the style of an easy-to-hold and operate android-phone. A5 features a spiral antenna and Hi-Target GNSS RTK algorithm to provide high-precision operation. Utilising the mobile GIS software collection suite, the A5 can provide a multitude of GIS operations induding land and water resource inspection, pipeline and utilities inspection, environmental and other public work applications. Hi Accuracy handheld solution up to 50cm with Real Time Corrections. 1. Android 6.0 OS 2.0GHz 8 core high speed processor. 3. An open platform for 3rd party software. 4. 5500mAh battery providing up to 12 hours continuous operation. 5. Protection for 1.5m drop to ground to IP67 standards. Attention: This is a non-returnable item.